Redirecting HTTP to HTTPS on Heroku Cloud PaaS specially for Free account is not that easy for a beginner than it appears. There are some ways for redirection. We have published lot of articles, guide videos on Heroku PaaS. There are some theoretical aspects to know because actually Heroku is not like our tradition web server for choosing the way for redirecting HTTP to HTTPS on Heroku Cloud PaaS. WordPress With SSL For Free With Heroku Cloud – Has important links to other Heroku related Articles. These are SSL related articles which might not include methods for Heroku Cloud but can give you some idea of SSL – SSL (Secure Sockets Layer) and TLS (Transport Layer Security) , An article on Extended Validation SSL Certificate (EV SSL), normally we install SSL certificate on own servers in this ways like mentioned on Installing Free SSL Certificate for Rackspace Cloud Server. 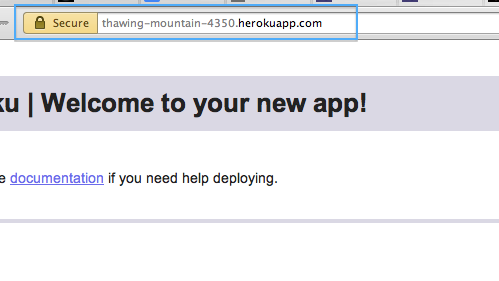 There is a Heroku Cloud With Free SSL Video Guide too. As Heroku is a PaaS, the web folder is not the web folder it should be. We can change it with advanced setup – Specifying Webroot from Apache httpd File in Heroku Cloud Read more: Specifying Webroot from Apache httpd File in Heroku Cloud. This Article Has Been Shared 8147 Times! Symantec Cloud Storage is a new file sharing service allowing to access, sync and share photos, videos etc. securely from any device. But Why Symantec arrived? Cite this article as: Abhishek Ghosh, "Redirecting HTTP to HTTPS on Heroku Cloud PaaS," in The Customize Windows, April 29, 2013, April 18, 2019, https://thecustomizewindows.com/2013/04/redirecting-http-to-https-on-heroku-cloud-paas/.